Is it time to get your yard in shape? The professional staff at Elks Lawn Care Services are ready to make your outdoor area beautiful. no matter what the occasion. Elks Lawn Care is a premium provider for residential landscaping and lawn care services in New Bern, Morehead City and surrounding areas of Eastern North Carolina. With over 20 years of experience in the lawn care and landscaping industry, our crew is ready to for the toughest jobs. We understand that life gets busy and as a residential customer, you may want to spend time with your family on the weekend rather than spend time mowing the lawn or pruning your bushes. At the same time, you understand that these are jobs that are important for keeping your property looking nice and keeping your property values high. It’s important when picking out a professional lawn care services company to make sure they are certified and knowledgeable in horticulture. 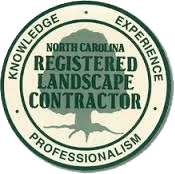 Elks Lawn Care is certified landscape contractor #1950, and you can find out more about our certification here: NC Landscape Contractors. In short, this means that not only do we know how to take care of your lawn, but we’ve taken the time to make sure that we abide by the lawn care and landscaping laws set forth by the state of North Carolina. We care about our reputation and when you utilize our services, you’ll understand how seriously we take our commitment to excellence. Can increase your real estate market value. Call us at 252-229-0677 or contact us so we can pick out the right lawn maintenance package to suit the needs of your lawn.